When the first Bren No. 2 Mk I Carriers were received in New Zealand they were completed in an overall dark green scheme. 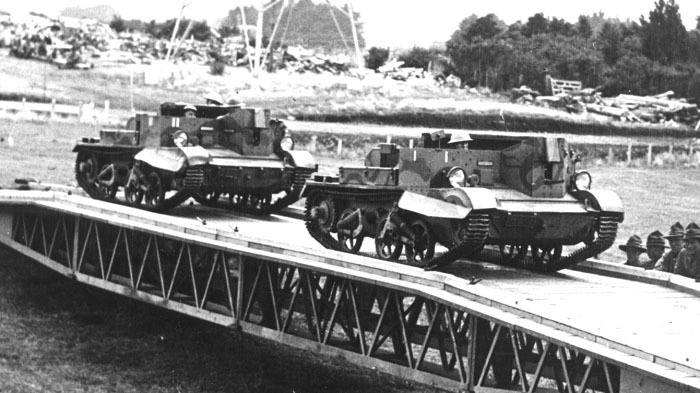 The carriers received had the British Army serials T2689-2694. Shortly after entering service they were repainted in the standard three tone disruptive scheme of the day consisting of khaki green, dark (chocolate) brown and mid-grey. 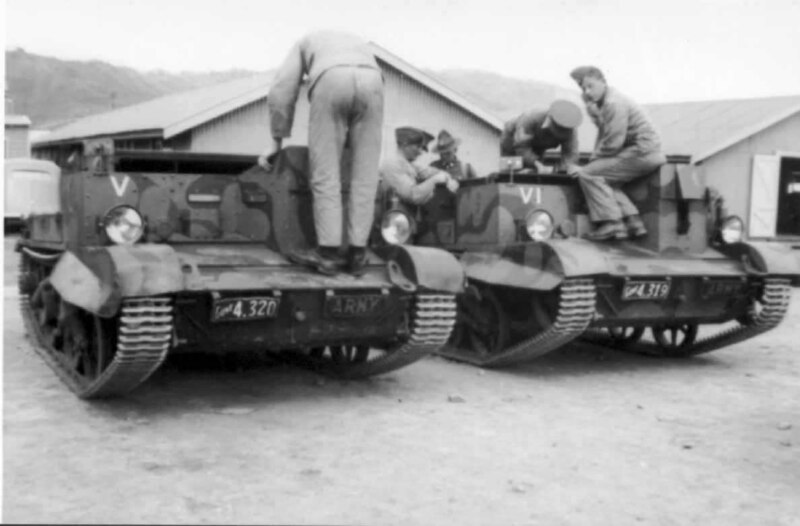 In contrast to the gun tractors, lorries and vans then in service, in which the disruptive shades were applied the form of sharp panels, the carriers were finished off with a more complex scheme in which the base coat was khaki green over which were painted intricate lines and whorls in the dark brown and grey colours. The scheme was different for each carrier and thus each one is individually identifiable. Two Bren No. 2 Mk I carriers in the Titoki District near Whangarei on Monday the 15th of May 1939 during maneouvres with the Mounted Rifles. The vehicle in the foreground was formerly HMH244/T2691 now carrying the Government licence plate Govt 3.611. This vehicle is now preserved in the Army Museum and carries all its Army serials including its final one, NZ12062. The vehicle behind is Govt 3.612. HMH244/T2691 taking part in a display with the engineers at Papakura Camp in 1940, its licence plate is now Govt 1.583. Again the vehicle behind was formerly Govt 3.162. The Roman numerals were added by the Divisional Cavalry during the time they trained with the carriers at Waiouru in the summer of 1939/40. 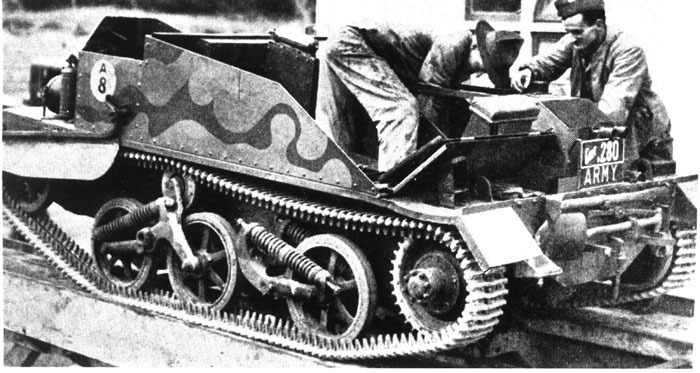 Maintaining a Bren Carrier at Trentham Camp in August 1941. 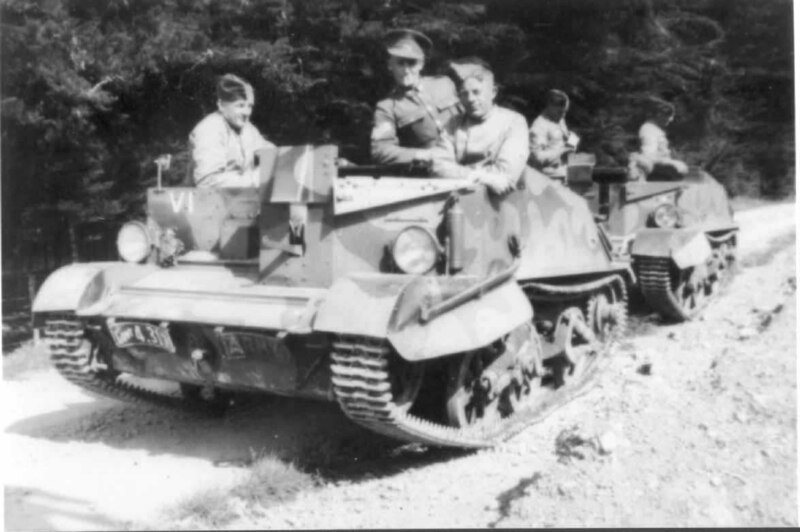 This vehicle was formerly JIT160/HMH243/T2690 (the former being the John I Thornycroft serial number) and which received the licence plate Govt 3.165 in 1939 before being sent to Southern Military District. Its Divisional Cavalry serial number was V. It now carries the licence plate Govt .280 and the Army serial number A8 in an orange circle on the hull side. It was later transferred back to SMD where it carried the Army serial AS1224. It is now preserved by a private collector in Christchurch. Bren Gun Carriers being used for instructional purposes at Trentham Camp in the 1940s. These two carry the early Army serial numbers A7 and A8 and still carry their Divisional Cavalry identification serials V and VI.